Cannabis businesses are no longer welcome in Milpitas. The city council on Tuesday night unanimously voted to move forward on a permanent ban. Milpitas already has a temporary moratorium on cannabis businesses set to expire in mid-January. Council members are now trying to get the new ban on the books by then. Marianne Favro reports. Cannabis businesses are no longer welcome in Milpitas. The city council on Tuesday night unanimously voted to move forward on a permanent ban. Milpitas already has a temporary moratorium on cannabis businesses set to expire in mid-January. Council members are now trying to get the new ban on the books by then. After recreational use of marijuana became legal in California in January, the state is now home to the largest legal pot market in the nation. Throughout the Bay Area, the cannabis industry is thriving except in Milpitas. The council on Tuesday night -- after listening to comments from more than a hundred people during an often contentious meeting -- made a critical decision. "The Milpitas City Council took action to move forward to establish a ban on commercial cannabis activity in the city," said Jennifer Yamaguma, Milpitas city spokesperson. Resident Christy Phillips said the ban is welcome news. "I'm for them banning it," she said. "I don't want (my grand kids) around it." But some said the ban does not make sense since California voters legalized marijuana. Others also question why the city is willing to give up thousands in sales tax revenues. "I don't think it's a good idea," resident Tim Gilley said. "All that revenue from the taxes that we can get from it would be wonderful." 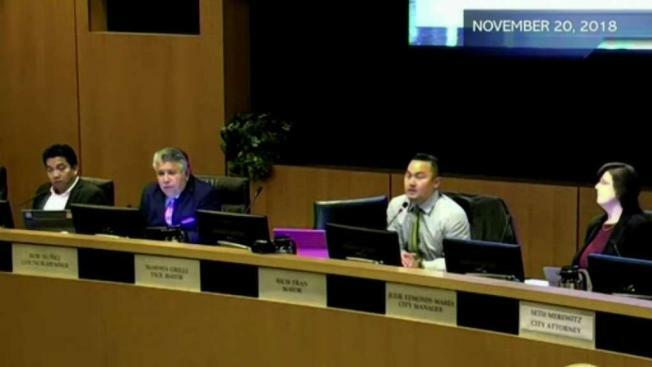 The Milpitas Planning Commission must now approve the urgency ban and then it goes back to the city council for final approval, which may come just two days before the current moratorium expires.